Long-running MMORPG TORN has launched on Android mobiles and tablets. Beginning life as a 16-year-old college dropouts’ bedroom project, the game boasts 20,000 daily active users and has enjoyed an incredible 14-year success on desktop as players indulge their deepest desires to become rulers of this gritty virtual underworld. Playing out as a sandbox, text-based adventure, gamers begin life as a low-level street criminal, rising through the ranks of TORN City's criminal underworld by forming alliances with 2 million players worldwide, trading for better resources and by taking part in a wealth of gang-related activities, such as heists and robberies. Players navigate TORN’s labyrinthine world by simply navigating tabs, maps, menu options and pop-up boxes, meaning anyone can jump right into the action from the get-go with minimal hand-holding required. Balancing a life of crime with the world of legitimate business is what makes TORN a unique experience; Reflective of developer Chedburn Networks motto of “Give the players the tools, and they will create their own game”, players can write for the city’s local newspaper, start a company, interview and hire employees and even marry other TORN players. How gamers write their Scarface-esque rags to riches story is up to them. The strong focus on community-driven growth in TORN has also been reflected in the real world. Incredibly, the game has seen four real-life marriages between its players and a real-life employment of a TORN City company owner who was so impressed by his employee's digital work ethic he was hired in real life. In another bizarre twist, a British newspaper reported that government staff at the Home Office (the department responsible for immigration, security and law, including the police and prisons) were playing the game so much that they registered 46,351 hits on the TORN website in just five months. TORN will be continually updated with additional content including new events, missions, items and more. The game will also feature sophisticated new crime and drug dealing gameplay systems soon after launch. 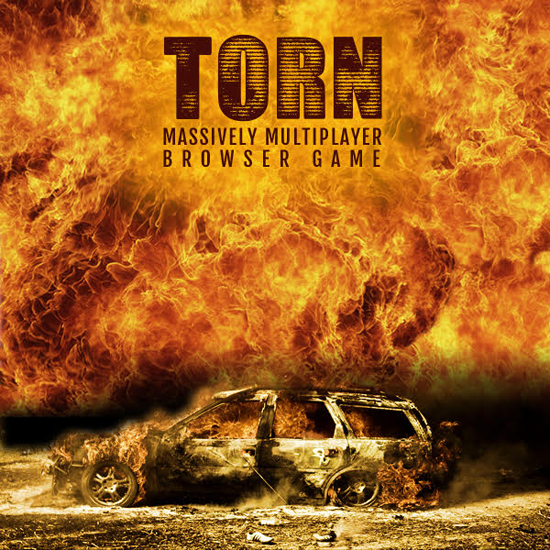 TORN is available as a cross-platform title, meaning players can move seamlessly between the mobile and desktop versions. Players can immerse themselves in TORN’s energetic forums and chat rooms for lively debate and constant competitions.